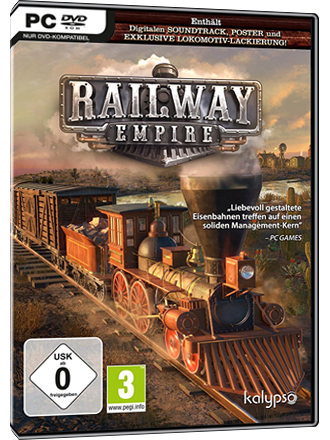 * Railway Empire from MMOGA. Price: $31.73. Discount: Save $30.50. Categories: Online Games, Sponsored, Video Games. Deal Rating: 4 Stars out of 5. Store Rating: 4 Stars out of 5. Deal Recommendation: Recommended. Available Until: Not Specified. Thoughts: None. Posted on January 30, 2018 by geosajamago. This entry was posted in Online Games, Video Games. Bookmark the permalink.